Looking for a cheap flight from Ubon Ratchathani to Makassar (UBP-UPG)? Before you book a flight you can use Utiket to find the cheapest flights from Ubon Ratchathani to Makassar for . All flight data are real-time and accurate. Utiket finds all the cheapest flights from Ubon Ratchathani to Makassar. Be aware there is a time difference of 1 hours: The time in Ubon Ratchathani is 1 hour earlier than the time in Makassar. The timezone for Ubon Ratchathani is: UTC +07:00. The local time now: 20:19:08. 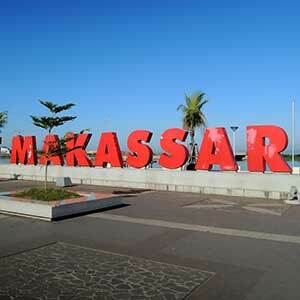 For Makassar the timezone is: UTC +08:00 and the local time now: 21:19:08. Although the airport is called Ubon Ratchathani International Airport, this small airport in the east of Thailand only serves domestic destinations to Bangkok. Next to being a domestic passenger airport this airport is also a Royal Thai Airforce Base and was used by the Americans in the Vietnam War. 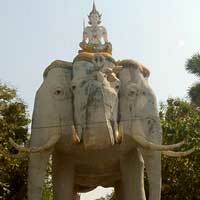 Find cheap flights to Ubon Ratchathani or read more about Ubon Ratchathani Airport.